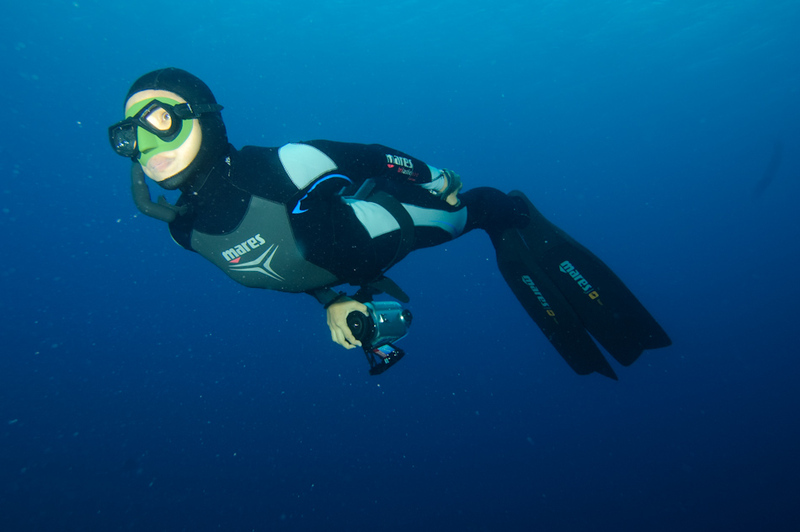 Freediving videographer Ai Futaki recently attempted to break one of the world records for female freediving. She tells Chris Mitchell about her passion for pushing freediving and underwater filming to the limits. Note: this interview was conducted in January 2010. In February 2011, Ai went on to win the officially verified Guinness Book Of Records’ female World Record for Longest distance in a cave on a single breath-hold dive with a monofin – 100 metres on a single breath! See the five minute documentary video at the end of the interview to see Ai’s record-breaking attempt. “I feel like I am part of the ocean when I am freediving”. It’s that love of freediving that has led 29 year old Ai Futaki to attempt to break one of the world records for female freediving only 3 years after she was first introduced to the sport. 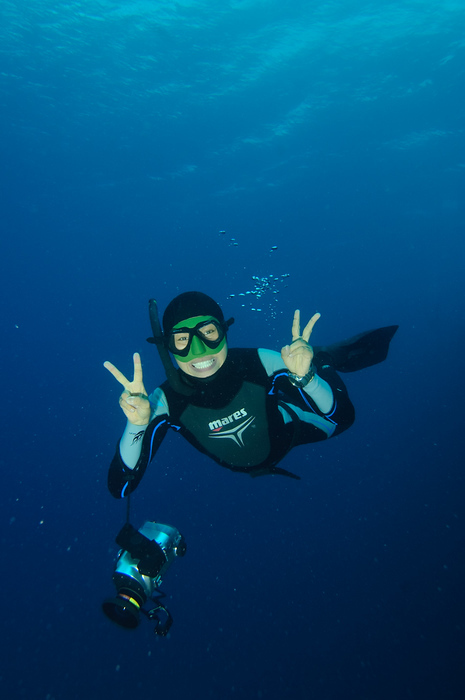 Originally from Ishigawa in Japan, Ai spent three months in Mexico in training to make her attempt on the record in September 2009 at Cenote Azul, the Blue Hole. While Ai was attempting to set a new female world record by swimming to a depth of 60 metres on a single breath, in the event she only managed to reach 45 metres, still an extraordinary achievement which led her to break the existing female Asian freediving record. While Ai is undaunted by the failure of her first attempt and is already pondering her next opportunity to try and break the record, she is refreshingly down to earth about her motivations. “I wanted to break the world record to make a name for myself” she smiles. “I learnt a lot from the process this time. I was ready technically, but mentally it was really difficult. 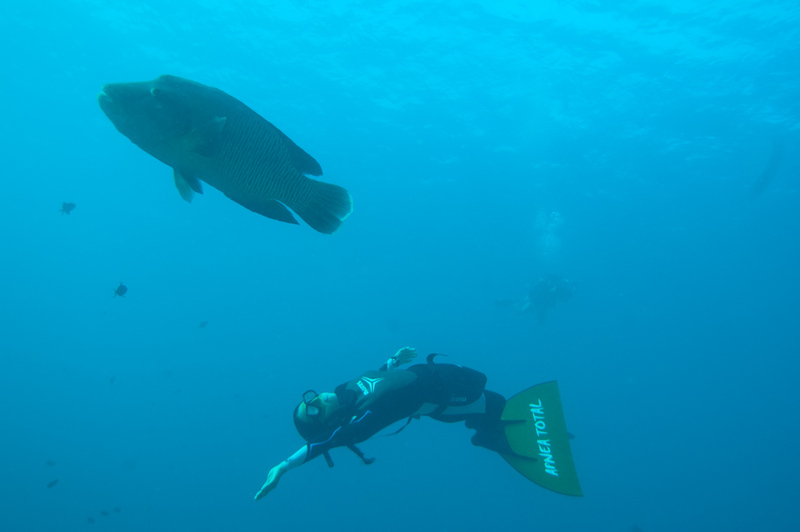 To freedive to 20 or 30 metres is quite easy, but once you go beyond that you have to fight yourself, reassure yourself. Even though I had gone to 55 metres on one breath while I was training, when it came to the record attempt I could not get there again.” That training itself is intense, involving six to seven hours of static breath holding in the swimming pool and “apnea walks”, walking whilst holding your breath, along with breathing exercises inspired by yoga and a strict diet. The specific record Ai was trying to break was Constant Weight No Fins, which means swimming down the line of a rope hanging to a specified depth with no fins and wearing a weight belt. This differs from the image of freedivers made famous by Luc Besson’s movie The Big Blue, where freedivers descend holding on to a sled and then return either by swimming themselves or propelled by a balloon –disciplines known as Variable Weight and No Limits respectively. Attempts on the world records for each of these disciplines are held each year at the AIDA World Freediving Championship, which in 2010 was held in Okinawa, Japan at the beginning of July. It’s the first time the World Championship will be held in Asia and sees the stars of the freediving world congregate in one place. 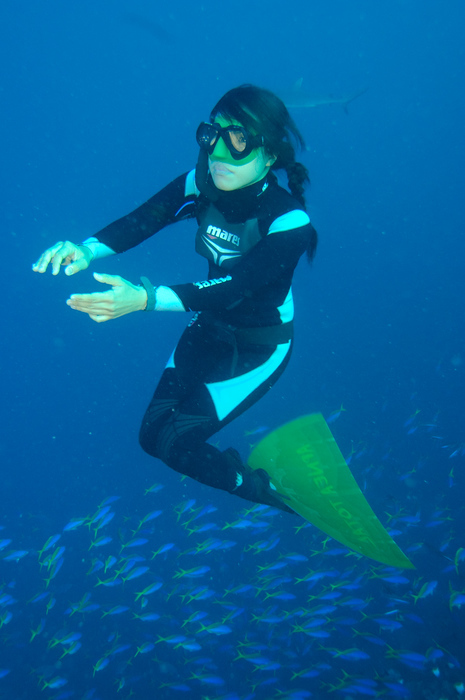 It was at the previous AIDA championships in the Bahamas in 2009 that Ai’s Asian female record was broken only a couple of weeks after she had set the new limit, showing how fierce competition is within freediving circles. Whether there is a demand for underwater films shot solely through freediving remains to be seen, but Ai hopes to release a DVD later this year collecting her short films so far and to get sponsorship and find likeminded souls to create something more ambitious.